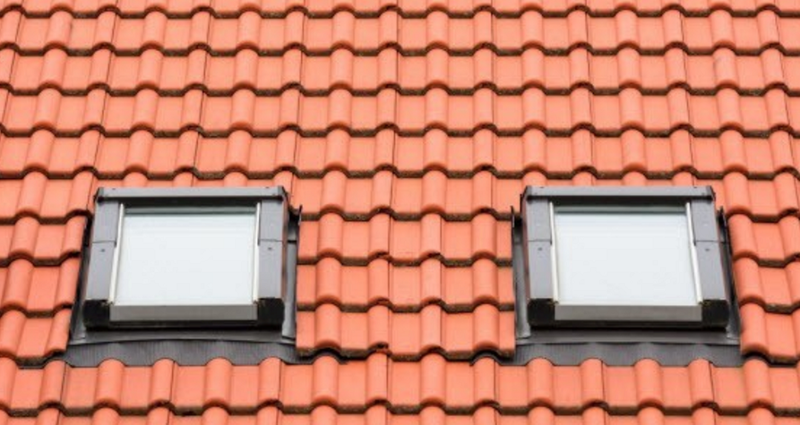 Roof Windows. Available in Hardwood or Aluminium. Short lead times + Competitive Prices. Supply to tight deadlines for projects. 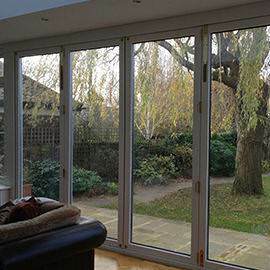 the highest quality hardwoods and/or aluminium. Our products are of exceptional quality. 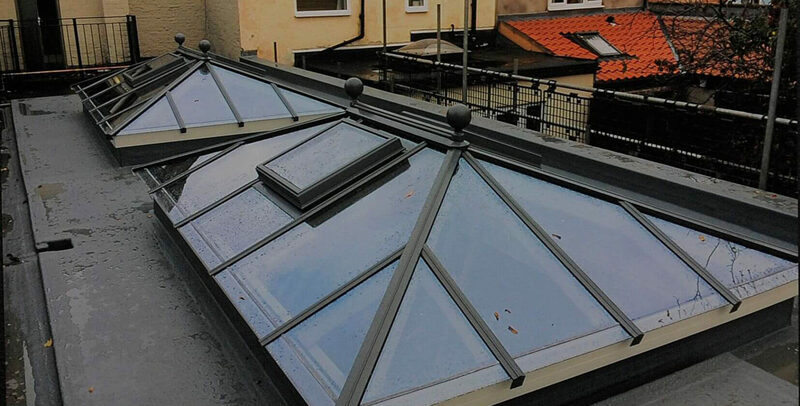 Prestige Roof Lanterns are a specialist UK manufacturer of bespoke roof lanterns, roof windows, loft windows, flat roof lights and Skylight windows. Manufactured using high quality materials in combination with expert craftsmanship. 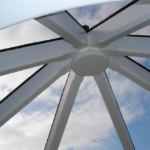 We produce an array of thin rooflight products which use slimmer rafters to maximise glass panel size. 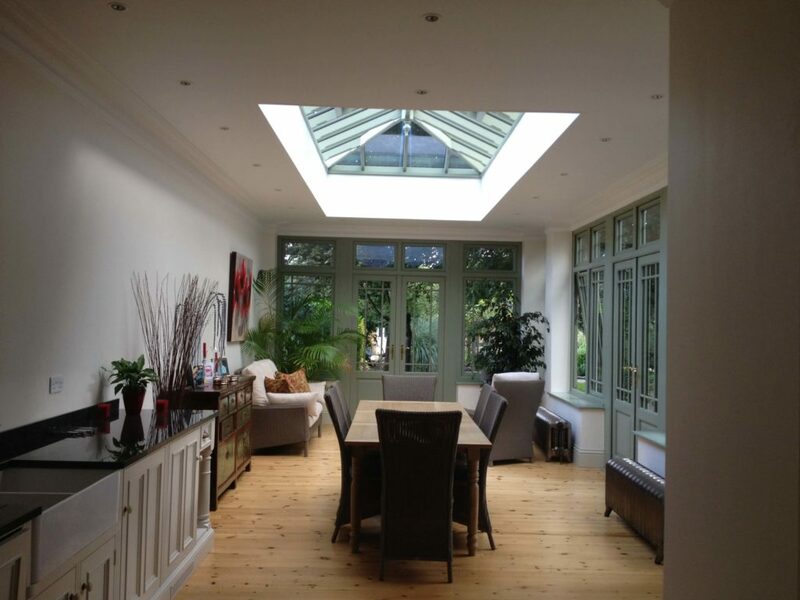 This maximises the amount of natural light that a roof lantern can introduce into a property. Our products are suitable for any residential & commercial space from kitchens to living spaces, restaurants to commercial premises. 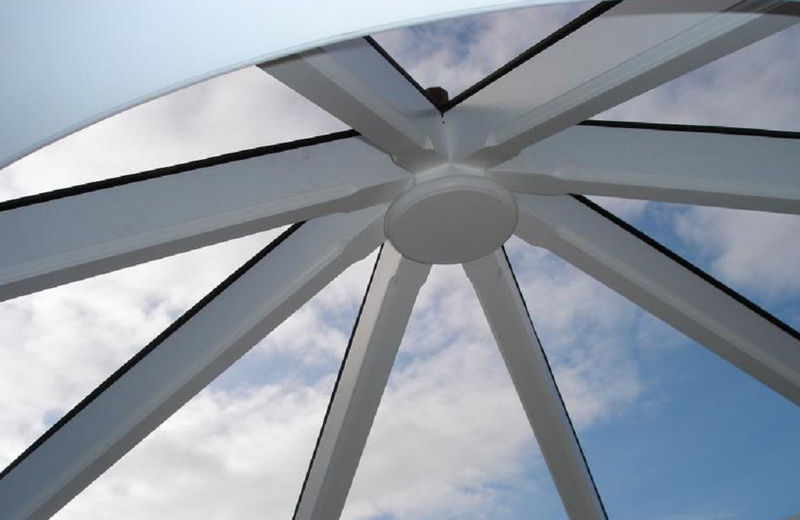 Prestige offers a wide range of lantern & rooflight configurations including solar-control glass, electric opening vents, decorative features, RAL colours & more. 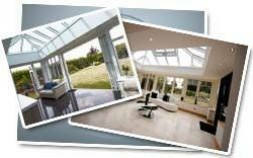 We supply B2B & B2C with trade options and offer mainland delivery across the UK. 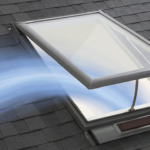 Get a FREE online quote or browse our range of rooflight products. Our products come with a 5 year guarantee. Prestige can also provide installation if required. 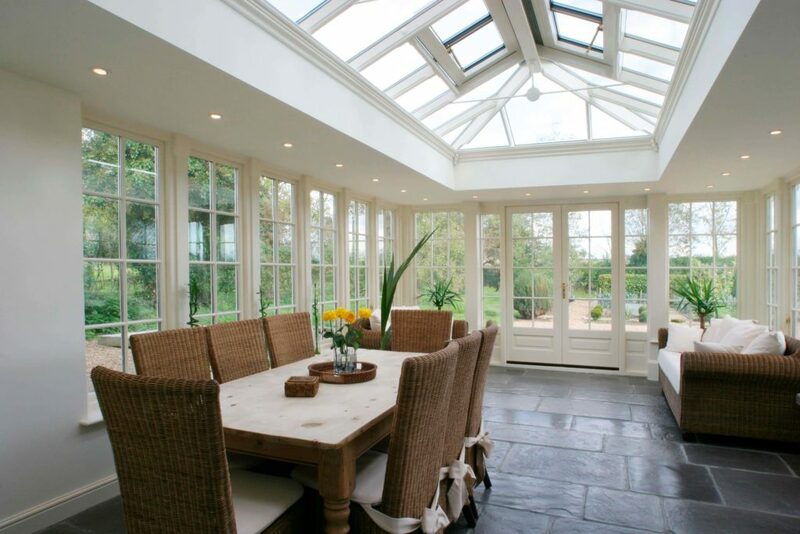 Exquisite attention to detail, traditional craftsmanship, ultra high quality powder coated roof lanterns & systems. 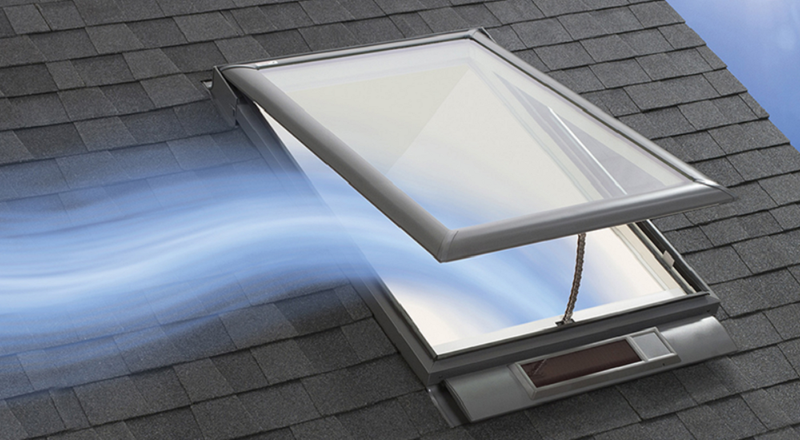 Energy-efficient, Eco-friendly roof products designed to trap heat, Thermal U-Values of 1.1. Prestige supplies easy to assemble roof lantern kits for self-installation with full assembly instructions, bulk-supply also possible. 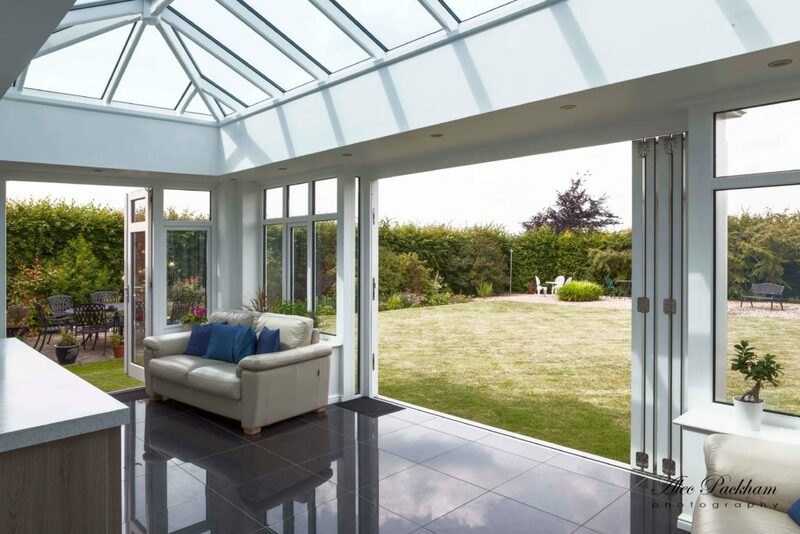 Features & options include vents, opening electric windows, custom ironmongery, powder coated, thermally broken & decorative features (architectural features both inside and outside). 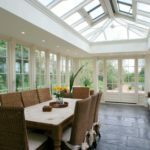 Hardwood & aluminium lantern rooflight products offer complete flexibility when it comes to choosing glass & glazing options. 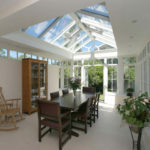 Glass range includes solar control & easy clean glass which is much easier to keep clean with lower maintenance routines. Given the precision nature of Prestige’s manufacturing process, our products are energy efficient offering excellent thermal control. Blinds are also available to prevent excess heat & light during warmer months. 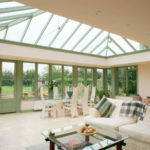 Prestige offers UK mainland delivery on all roof & lantern products. Delivery costs may vary, our team will advise in advance. 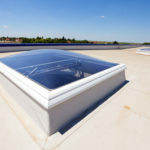 An installation service is available should you not have a roofing specialist / installer already. If you’re unsure about the style you want, then we can offer style suggestions. Prestige’s skilled designers can create a computer aided design to showcase what a finished product will look like before it’s manufactured. 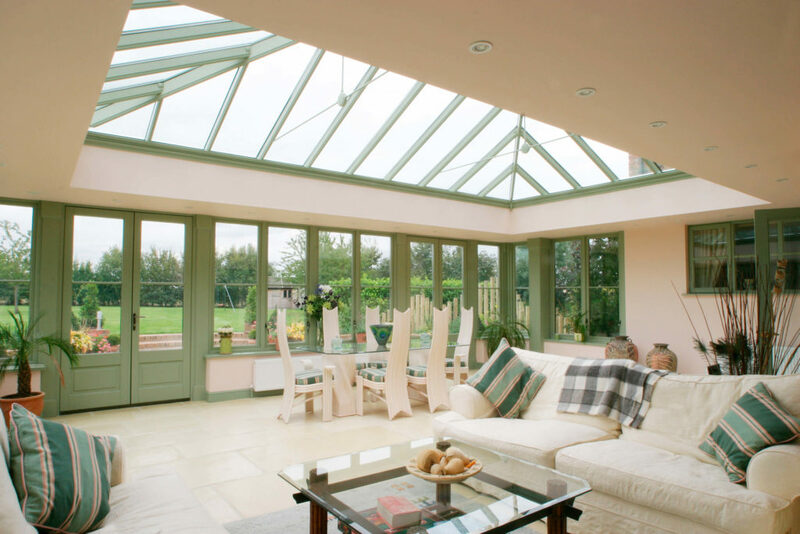 You may want one of our simple, architectural designs to fit a rectangular shaped room, or you might choose one of our prestigious curved roof lanterns, which make a spectacular focal point for any room. 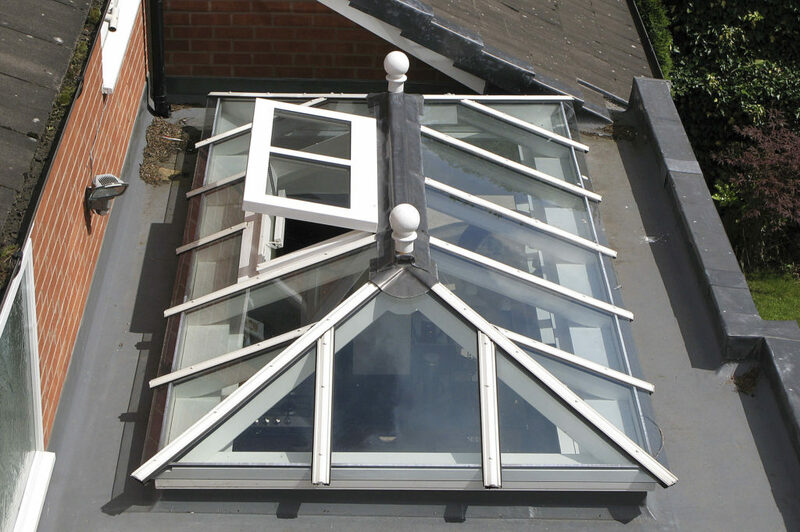 Because every aspect of your roof lantern is bespoke, you can get the finished look to suit your vision. 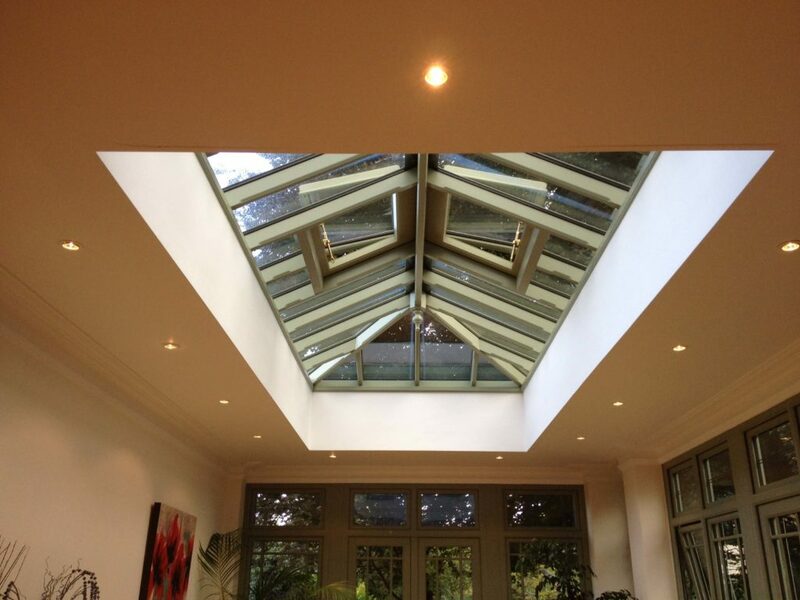 Prestige can create your roof lantern in any RAL colour and style, we also offer a specialist colour matching service. You can choose a classic wood stain, or have the wood painted in any colour, using high-quality Farrow & Ball paints. We can manufacture and supply a range of sun tunnels which channel light down a circular tunnel structure at the centrepoint of a room. 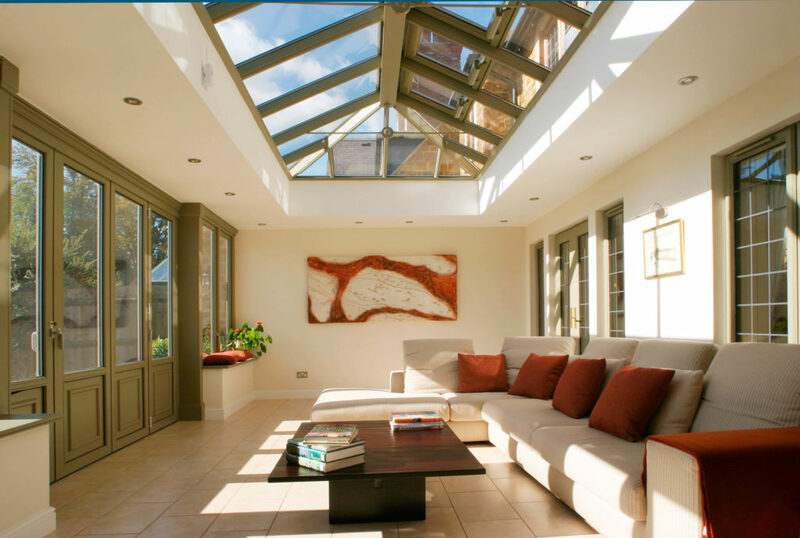 If you want a contemporary way of delivering light to a room then a sun tunnel is perfect, roof lanterns are a more traditional method of bringing natural light into a room. 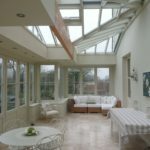 Our glass roof systems maximise glass panel size & minimise rafter size to allow as much organic light into a property as possible. 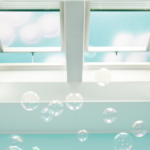 Our glass roof systems offer custom options including easy clean & solar control glass panels. 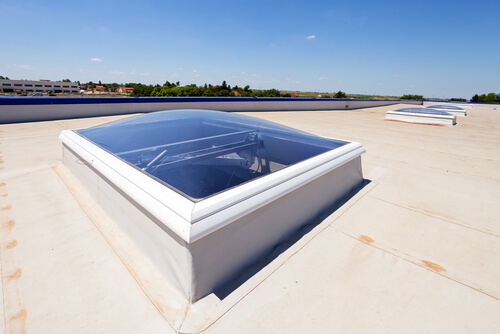 Flat roof skylights are available in a wide range of configurations including flat skylights or pitched skylights for flat roofs. 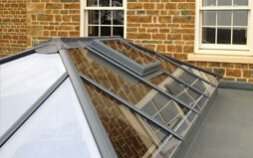 Our bespoke, made to measure flat roof skylights are energy efficient with excellent thermal efficiency (U-Values) and are a great way to introduce lots of extra natural light into the home. 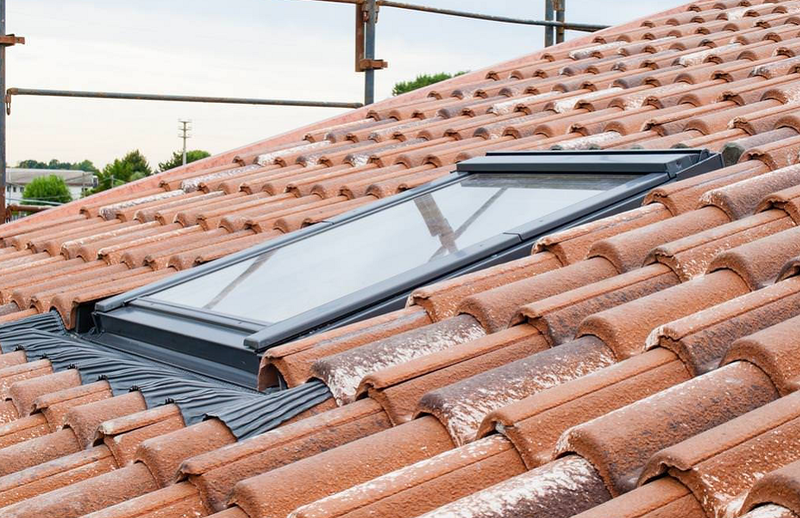 Popular products that we manufacture include fixed flat rooflights from £900 + VAT, pitched rooflights from £500 + VAT, pyramid rooflights and walk-on opening rooflights from £1200 + VAT. 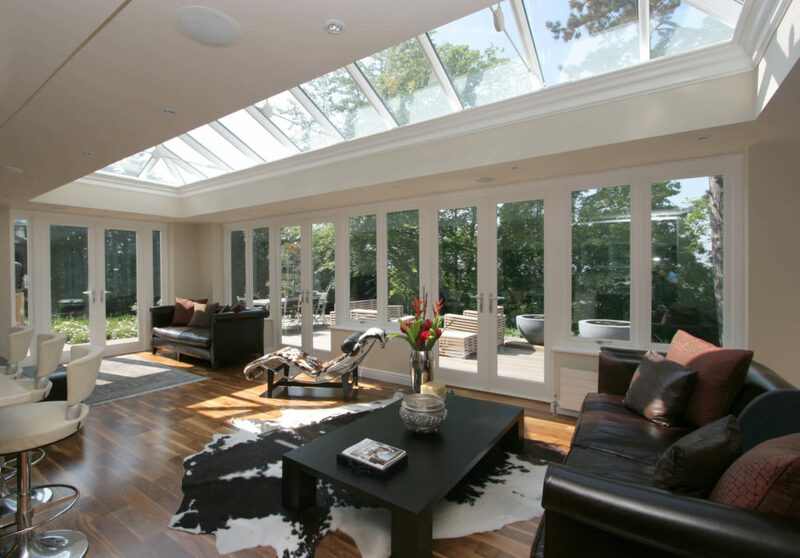 Our bespoke range of roof windows & rooflights are perfect for adding an attractive light opening for any roof. 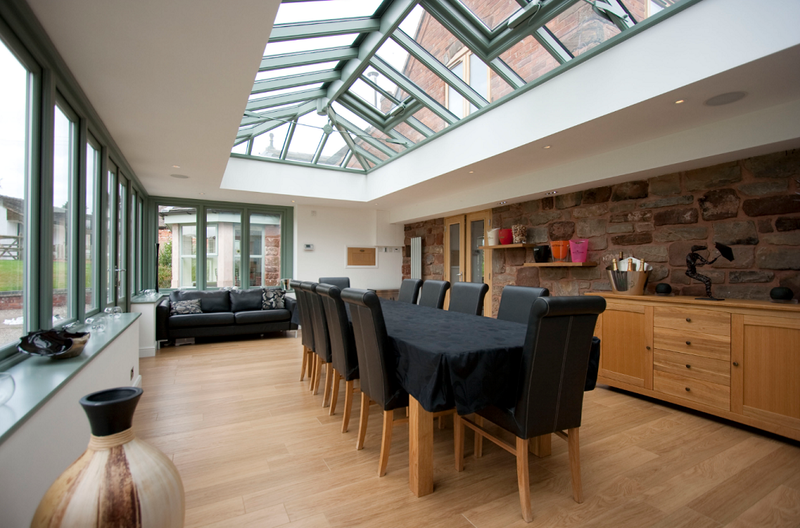 Let more natural light fill up a room with one of our roof windows. We can supply in most standard and non standard sizes. 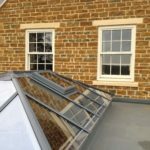 Our roof windows can be installed on flat or pitched roofs (please speak to our team to discuss). 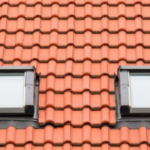 If you are looking for a small, medium or large range of roof windows or the rooflight company we can provide a size sheet covering all standard and non standard sizes. 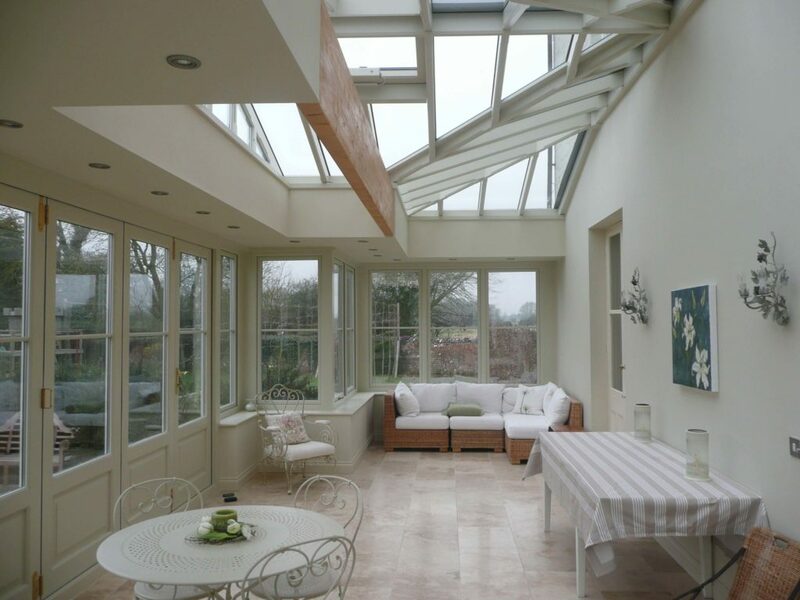 The most common types of rooflights we manufacture include conservation rooflights and flat rooflights. 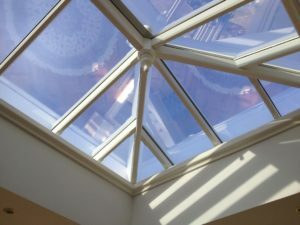 Standard roof lanterns – In both contemporary and traditional styles, and a range of colours and finishes. 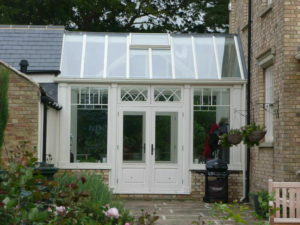 Glass roofs – Made with timber or oak, glass roofs are made to your exact specifications for a perfect fit. 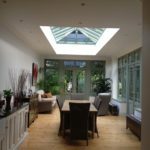 Sun tunnels / rooflight tunnels –A circular tunnel at the centre of the room which allows for lots of natural light, without taking up much space. 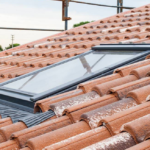 Skylights – Available for both flat and pitched roofs, skylights are made to measure and offer excellent energy efficiency. 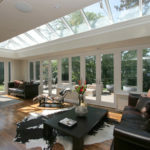 Roof windows & rooflights –These flat windows can be made to any size, and in a style that suits your property. 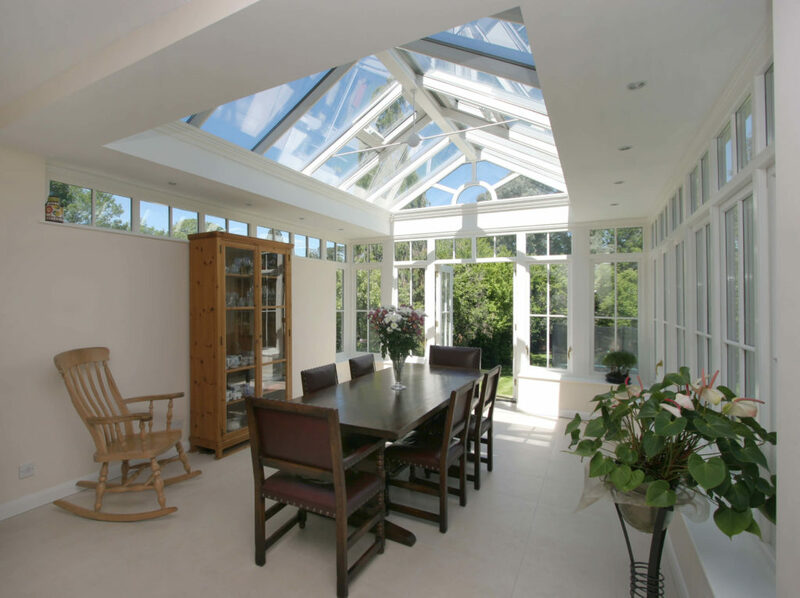 With state of the art manufacturing facilities, we can create roof lanterns and windows in a huge range of standard sizes, from 3X3 up to 3000×3000, and sometimes even bigger. 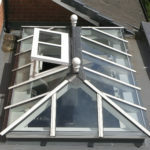 Roof lanterns start at £1,000 + VAT for our standard wood lanterns, and we’re always happy to offer a free quote. See our price list, or call today on 0843 886 7945 for a personalised quote. 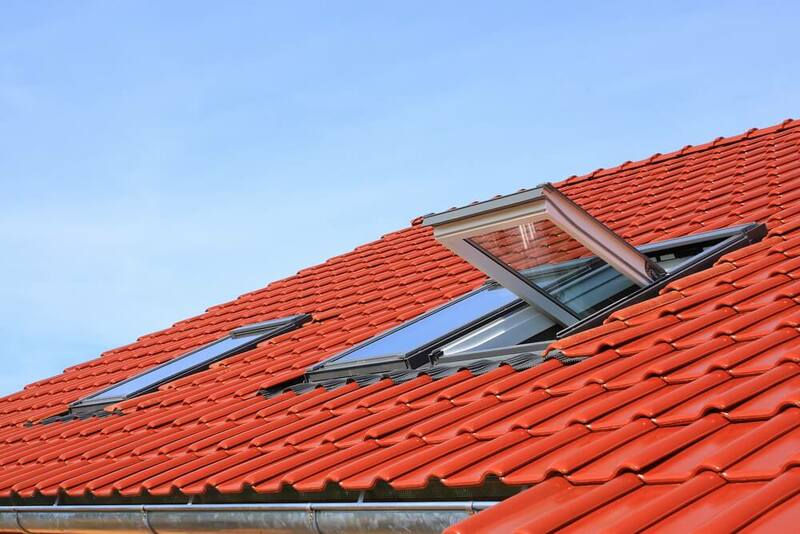 Flat roof windows and rooflights for flat roofs are our specialty. 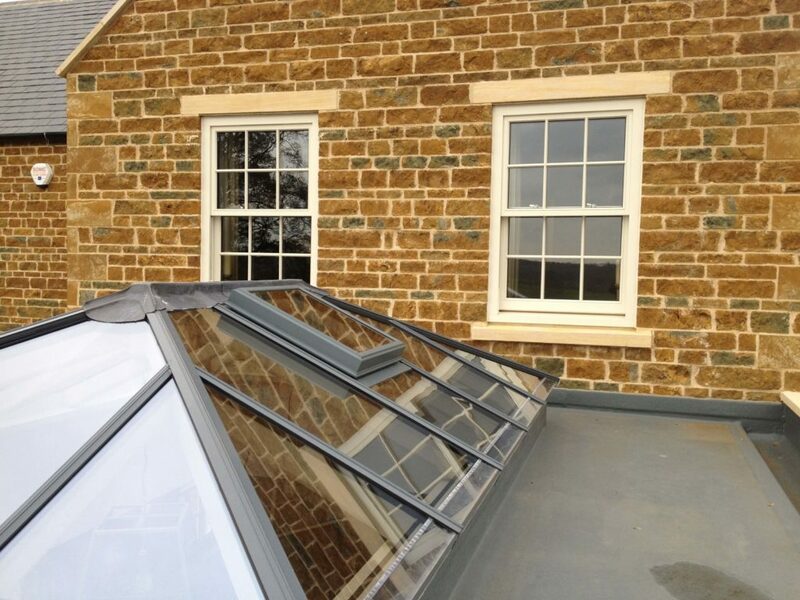 Aside from lantern roofs, we make bespoke flat roof windows for all property types. 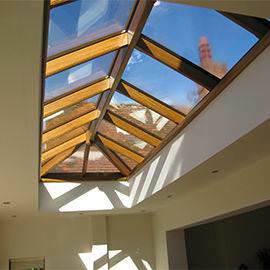 Common rooflight manufacturers include Velux, Eco, ortex, Sterlingbuild and Sunsquare. We manufacture our products from the finest, high quality hardwoods. 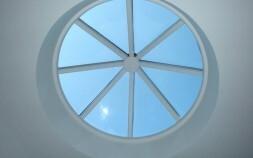 We can also supply aluminium capped roof systems. Everything is made to measure with sizes starting from 750mm x 750mm up to and in excess of 5000mm x 5000mm. 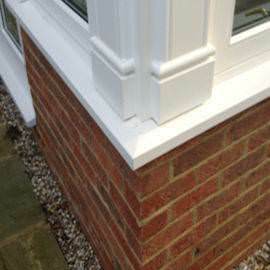 Units can be supplied in plain primer ready for painting, can come painted in RAL Colour or 2 tone colours. Micro-porous paints are used to allow wood to breathe. Units offer low U-Values of 1.1W/m, offering excellent thermal efficiency. Rafter sections from just 44mm, Hips from 56mm. 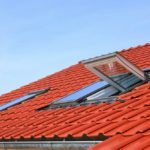 Once you’ve decided on the style of roof that you want, we can create a high quality DIY kit for installation. This can be installed by a qualified builder, but is simple enough for a novice DIY enthusiast, as most of the parts clip together. We provide comprehensive instructions for assembling your lantern system. 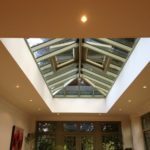 Why Install a Lantern Roof System? 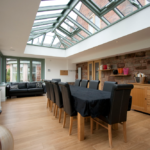 Roof lanterns are ideal for any rooms where you need more natural light. 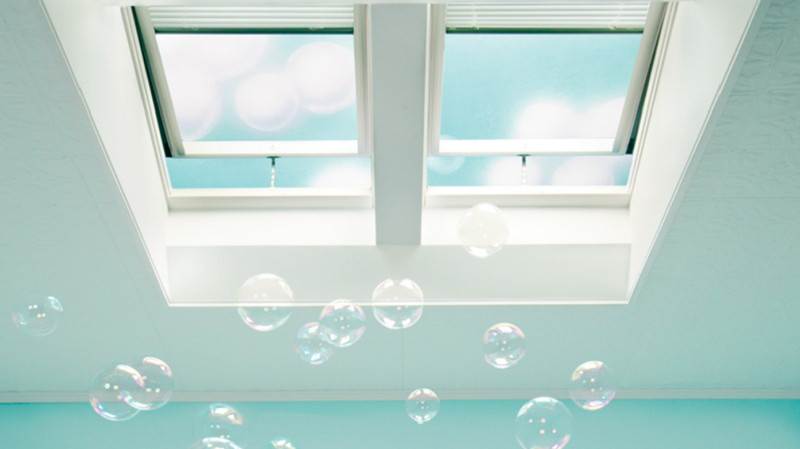 They’re easily installed, and can instantly make a room feel more spacious. 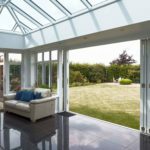 It’s surprising the difference they can make to a room, especially orangeries and garden rooms where you want to bring the outdoors in. As well as providing more light, we can install panels that open, which allow a cool breeze to come through the room on hot days. 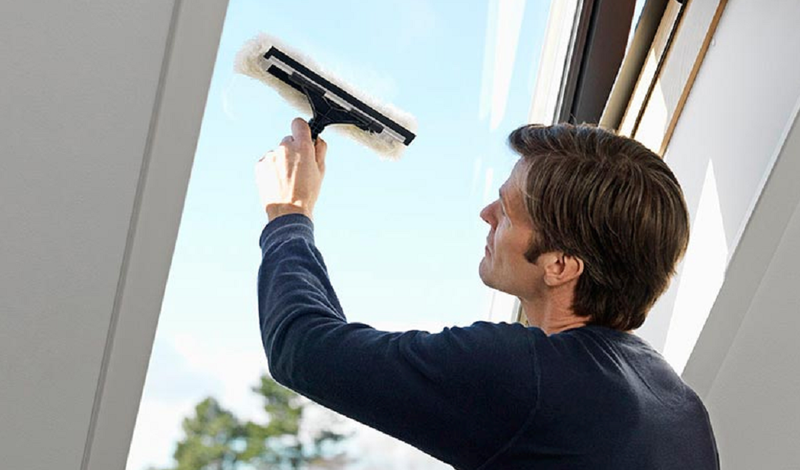 During the winter months, they help with heat generation, and the thick glazing means warmth is trapped inside your house. 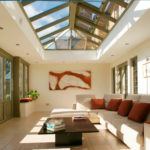 Why Choose Prestige Roof Lanterns? Our curved and domed lanterns are a sophisticated, high quality range which stand out in the marketplace. 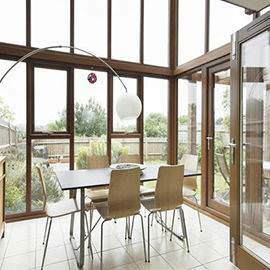 Gorgeous, bespoke, curved lanterns with premium wood finishes, wood stains and styles. Using the latest in timber and glass curving technology we can achieve the stunning grand design befitting any prestigious property. 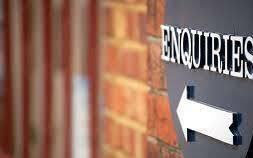 If you’d like to discuss your project requirements with us, why not give us a call on 0843 886 7945? One good reason you should choose Prestige is for exceptional product quality & attention to detail. Every product leaving the factory is quality checked. Prestige also offers friendly & comprehensive customer service & aftersales, ensuring all your queries and questions are answered. Prestige supplies to traders, builders, home builders, property renovators & individuals. We offer mainland UK delivery on all products. We are a part of the Country Hardwood Group. 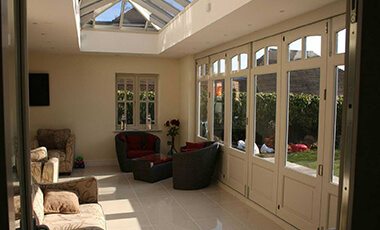 Our group also supplies Conservatories, Orangeries, Bifold Doors and Timber Windows.